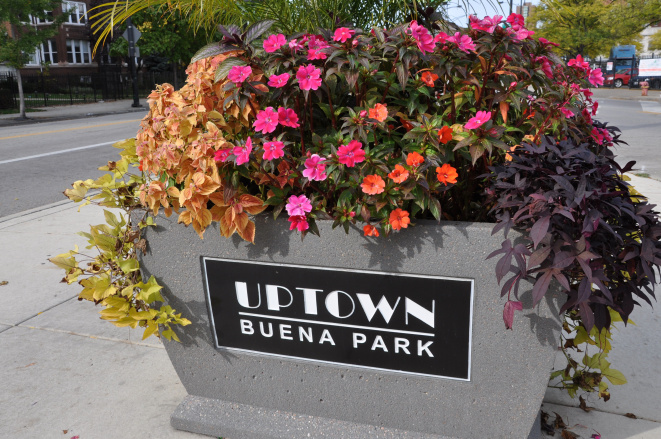 Located right in the heart of Uptown, Buena Park is a diverse and serene neighborhood that’s easy to walk through and full of rich history. Buena Park has a variety of restaurants and shops, that is always interesting to explore. As your go-to Buena Park movers, we will help you become part of this community right away, and help you start finding your new favorite places. Being a part of a tight-knit community, Buena Park is home to over 58,590 people. Just under half of the residents at Buena Park has one of the highest percentages of students and college-educated residents in Chicago. Average income is around $48,401k. Decades before Buena Park was founded, it was merged as a part of the Uptown community. Tucked between the Uptown neighborhood it was apart of the film industry when Frank Sinatra got his big break at the Aragon Ballroom. By the mid-1880’s Buena Park became one of the four area station stops. Now you’ve got the gist, here are some highlights—and basics—we found to help you start your best Buena Park life. Holiday Club: Bar with a Rat Pack theme. Buena Park Circle: Renovated small park packed tightly in between. Textured Dance Studio: A local dance studio. Classes and programs available. Pizza: Michael’s Original Pizzeria and Tavern. Low-key pizzeria and sports bar. Burgers: Jakes Pup in the Ruf. Comfort Food. Peruvian: Siam Noodle & Rice Restaurant. Traditional Thai cuisine. Beer: The Bar on Buena. Cozy bar featuring pub food. Jewel Osco: Open until midnight. Lake View Food & Liquor: Local produce and focus. GNS Foods: Small site with cafe. Dollop Coffee Co. Coffee drinks and sandwiches. Klein’s Bakery & Café. Inviting space with excellent coffee. All Strength Training: Specialize in strength training. Flexible schedules. Uptown Fitness: Equipment, classes, and training. This has been a tiny sampling of the great things you’ll experience at your new Buena Park home. As a seasoned Buena Park moving company, we’ve learned all about the staples and cool places in the area. We’re happy to share more! As you’re planning your big move, cross one major thing off your to-do list, and book Buena Park movers who’ll take a load of stress off your mind. Call us at New City Moving, and we’ll help you move safely, smoothly, and on schedule, so you can settle right in and start living your greatest Buena Park life.